Our Solid Foam Chair Seat Cushions Are Made In The USA! Solid foam chair seat cushion for patio or indoor chairs that require rounded back corners. Selection of sizes and choice of fabric. Zippered removable covers. Zippers placed on back size of cushion. 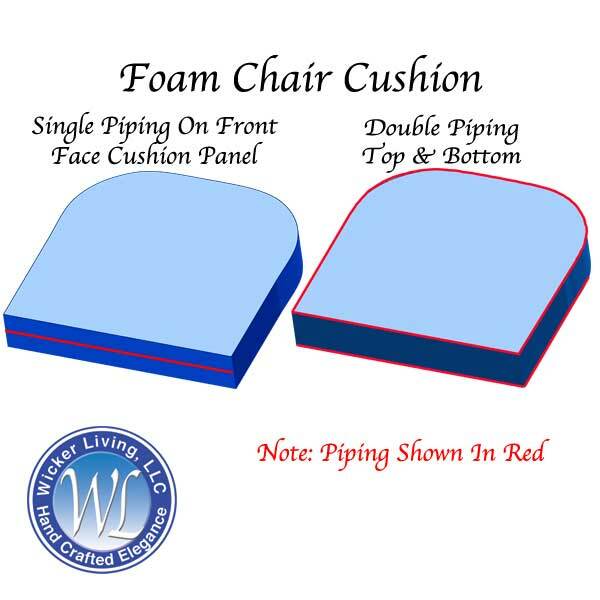 Choose optional single piping on the front center face of the cushion or, boxed double piping around the entire cushion.